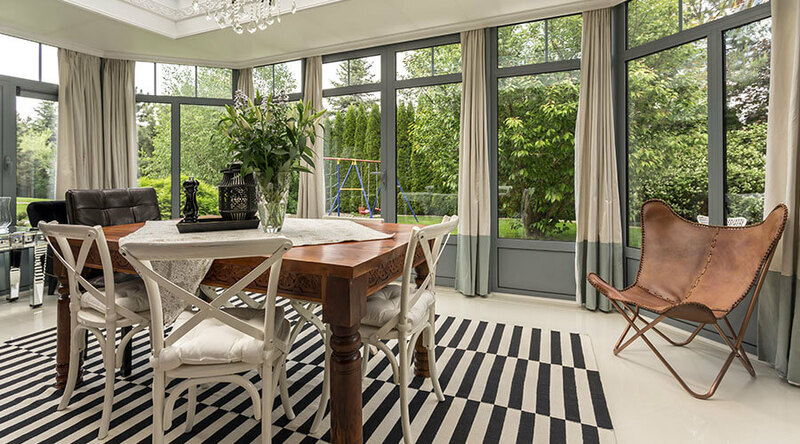 Your conservatory is the perfect evening setting for summer dinners or relaxing with the family; a conservatory usually doesn’t involve painting, so it’s a good time to pick some high-quality conservatory furniture to jazz it up a bit. Are These Items Of High Quality Conservatory Furniture Suited For All Conservatory Types? In this article we’ve tried to include furniture that would be suited to every conservatory type, regarding design then yes all of these items of furniture would look lovely in any conservatory – but sizing is a different story. Conservatories are used to add extra living space, or they have plenty of other helpful uses, so a lot of home owners often like to fill them up with beautiful state of the art furniture to wow their guests. You can design your conservatory the way you like so it’s important to have the correct furniture to facilitate all the needs of what the room is going to be used for. For example, if you’re transforming your conservatory into a kitchen te=hen you are going to need room for the necessities such as an oven, cupboards, etc. However, some people often opt for a very contemporary look including things such as breakfast bars and a tiled roof conservatory Milton Keynes, so we’ve tried to include different designs of high-quality furniture to satisfy all of our customer’s needs.  So the question on everyone mind is where you can find high quality conservatory furniture? Luckily we’ve picked some of the most stunning, durable items of furniture for our readers – so keep reading! This gorgeous armchair brings a classical design back with a modern twist, and it would look great in any room of the house. It features capitonne button upholstery but with a bohemian twist to bring your conservatory to life. If you’re stuck on whether you desire a contemporary or mid-century design theme, then this is the perfect item of furniture for your conservatory as it combines the two together to create a beautiful centrepiece. And the most amazing part is the fact that the underside of the chair is draped in what looks like a shawl – however, it’s liquid leather! This is what gives the draping appearance of a shawl over shoulders; it is then attached to the base of the chair by undetectable metal studs. However, as always something so beautiful comes at a price, this sought after armchair rakes in at £6136 – on sale! So if you’re looking for an item of furniture to wow your guests, then this could be it, but it comes at a hefty price as it’s created from some of the finest materials available. If you are often accompanied by friends in the evening, are a social butterfly or have regular attendees at your family dinners, then this could be for you. It’s nice to spend the warm summer evenings relaxing in your conservatory with dinner or drinks with family or friends, so you need seating for those regular meetups right? The Windsor round dining table offers just that, this set of table and chairs were designed with comfort and style in mind and can be the centrepiece of both conservatories Milton Keynes and your garden! These stunning chairs are handmade from the highest quality synthetic rattan weave, which are then woven around an aluminium powder coated frame for extra support. Although the best features of this table and chairs set come with its durable properties, everyone who owns a conservatory knows that sometimes they can hit very high or very low temperatures. Luckily this set has been tested in temperatures as high as 80 degrees and as low as -70 degrees, so they have a lot of wear and will not become damaged in severe temperatures. This grey coloured sofa comes with 4 lighter scatter cushions to complete the comfort of this beautiful handmade seat. This 3 seater sofa features hand woven rope designs used in the fishing industry from Vietnam. Give your conservatory an authentic feel with the delicate hand woven structure that makes it look so expensive, this weave and material is made up of around 10000 woven strands for the ultimate strength and support. It then is mould resistant despite the amount of time it is wet for and is UV resistant. Although it’s apparent that this sofa is very durable, you should still take good care of it, coming in at £550 you still want to look after it, all this sofa needs is wipe downs with warm soapy water every once and a while. Perfect for the annual coffee meet-ups, this conservatory coffee table can bring a touch of class to your conservatory. If you’re someone who likes simple and subtle, then you’re sure to like this Allegro coffee table. With weave finish, this table is up for grabs in natural water hyacinth or in the shade caramel, with a glass top for a luxury finish. Just like the others, this table is suitable for both indoor and outdoor use; the Hyacinth allows it to be very durable and UV resistant. Perfect for smaller sized conservatories this comfy little corner seat is ideal for evening relaxation, this versatile seat can be combined with a variety of different furnishings and can be easily moved around the room for every conservatory. The Kubu Grey Corner Seat is available in 12 different shades so you can add a flare of colour or stick to the warm neutral tones, buy a few of them and combine all together for a corner set or sofa. Choose an almond or Kubu grey wicker finish dependant on the design of your conservatory; this seat works well as a room divider or even moveable seats for everyday family living. At £680 pound buying a set of these is what you would pay for a sofa for your conservatory, and these are more durable and easier to transport. We hope you enjoyed this article and found some of the conservatory furniture we found suited for your conservatory; it’s highly likely that these items of furniture will fit in your conservatory no matter the type. If you found this article helpful then why not share with your friends and family? Or someone you know extending their home!